Courtney Dauwalter is an American ultramarathon runner. She has won several ultramarathons and has broken countless course records, trumping both men and women on trails around the country. Dauwalter grew up playing sports. As a 13-year-old, she ran cross country and track for her town’s high school, but didn’t think about pursuing it professionally until years later. She competed in Nordic skiing in college, but once she graduated, Dauwalter was on the lookout for a new exercise outlet. She decided to try road marathons, but that quickly snowballed into an interest in ultramarathons. Dauwalter’s first ultramarathon was a 50K in 2011. “There weren’t gnarly trails by any means,” she told Runners World in 2018, “but I was so excited about meandering through the woods for a day and it just seemed to cool.” Dauwalter has also spoken about the culture and inclusivity she experiences as part of the ultrarunning community. Dauwalter is best known for a handful of races in the past few years. In 2016, she set the record on the Javelina Jundred 100K. Later that year, she won the Run Rabbit Run 100-mile race a whopping 75 minutes ahead of the second-place runner. In that race, she temporarily went blind during the last 12 miles. Her doctors said the blindness was due to extreme exhaution. The next year, she set the record for the longest run in 24 hours, completing 155.391 miles during the Riverbank One Day Classic. 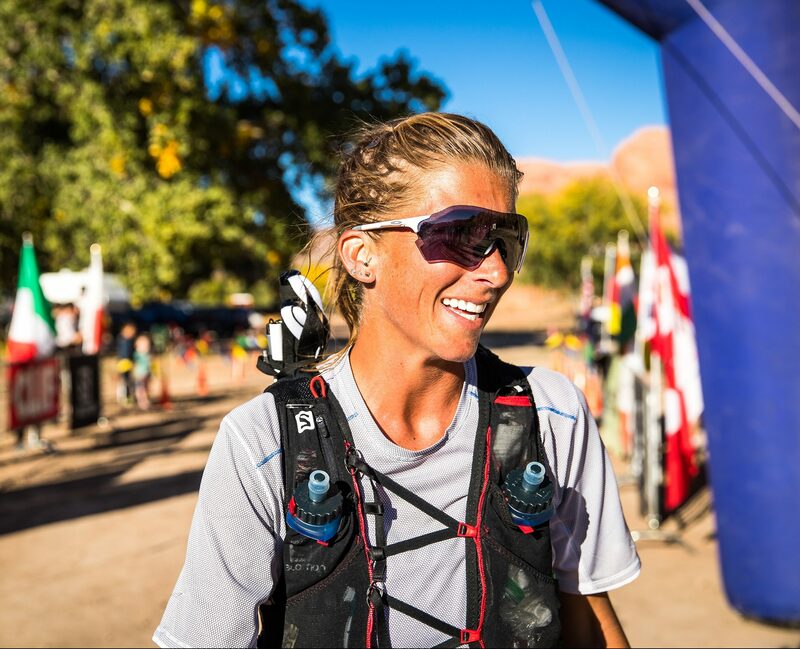 Then, in mid-2017, Dauwalter finished the Moab 240 race in 2 days, 9 hours, and 59 minutes – faster than any of the men in the pack. In that race, she beat the second-place finisher by more than 10 hours. Dauwalter, along with ultrarunning as a sport, has recently been recognized by several large American news organizations, including a feature story in The New York Times. Additionally, Dauwalter is the subject of a new documentary, Tahoe 200, about the endurance run of the same name. The race takes runners around the largest alpine lake in North America, circumnavigating Lake Tahoe from the Tahoe Rim Trail. We expect this documentary to further launch Dauwalter into the spotlight, cementing her as one of the best-known names in ultrarunning.